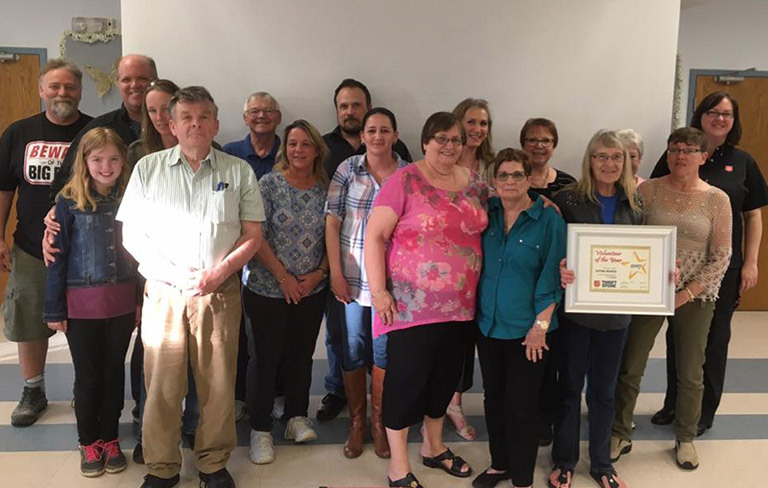 The role of our Thrift Store is both to generate funds to help The Salvation Army achieve its mission, and to influence positively the community in which we serve. We welcome donations of gently used goods. Items featured in our store includes housewares, electronics, linens, books, toys, and clothing for men, women and children; as well as furniture in good condition. Purchases made at the store help fund The Salvation Army’s mission in our local community while diverting thousands of items out of the landfill each month. A great eco-friendly alternative! By operating successful Thrift Stores and integrating with the mission and work of The Salvation Army as a whole, we exist to be a functioning and thriving modern day model of William Booth's conceived "Household Salvage Brigade" through which the marginalized and excluded of society will be refreshed and regenerated by way of meeting their practical needs. Salvation Army founder, General William Booth was a visionary who effected great change on an international scale. As founder of the Salvation Army, General Booth responded to social concerns in the 19th century by creating an organization designed to meet the needs of all humans without discrimination. In response to the need for jobs and affordable merchandise, coupled with the fear of disease and a desire to preserve the land, Booth created the “Household Salvage Brigade” composed of a group of men and women, responsible for collecting unwanted household items. Who operates The Salvation Army Thrift Store? 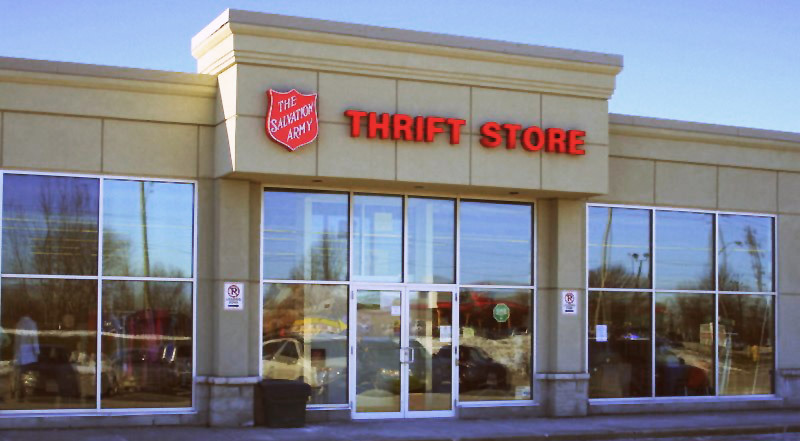 The Salvation Army in Canada owns and operates all Salvation Army Thrift Stores and has done so for more than 100 years. In urban communities, such as London, Toronto and Hamilton, the majority of Thrift Stores are overseen by the Salvation Army's National Recycling Operations (NRO) division. Those not operated by NRO are overseen by Salvation Army ministries such as the local church or Family Services unit. Such is the case in St. Thomas, where the Thrift Store is owned and operated by the local Church. All Salvation Army Thrift Stores, are 100 per cent charity-based and exist to generate funds to support Salvation Army programs and services that help residents in the areas in which they operate. Donated clothing and other goods are efficiently and ethically recycled and sold to offer practical assistance for children and families, often tending to the basic necessities of life. What are the programs and services supported by The Salvation Army Thrift Store? How much of the funds generated are directed to charity? Once operating costs are covered, 100 per cent of all proceeds go towards supporting the charity. The Salvation Army's most recent audited financial statement indicates that 86% of all monies received by The Salvation Army go directly to the charitable work - only 4% goes to fundraising and 9% to administration. How can I donate clothing, toys and other household items? All Salvation Army Thrift Stores gladly accept donations daily during store hours. Donors can drop off their gently-used clothing, shoes, used electronics, bric-a-brac, and a wide assortment of everyday household items directly in-store. The Salvation Army provides a pick-up service for Furniture items only. Once a pick-up has been arranged with a donor, we ask that the furniture item be brought to the main entry level of the residence so we can remove the items in a quick and safe manner. For health and safety reasons, we do not accept used mattresses, box springs, pull out or sleeper sofas. Donors can drop-off furniture directly at our Thrift Stores provided the item is in good reusable condition. For more information on our furniture pick-up service and to arrange for a FREE pick-up, please call our store. How do you recycle clothing items that are not sold? Salvation Army Thrift Stores often receives donated clothing that cannot be sold in stores because it is torn, stained and/or overly worn. The Salvation Army is still able to generate funds from these clothing donations and divert them from local landfills by selling them to cloth graders. The cloth graders re-sort the materials; turning some into rags, selling other parts for the fibre content used to make things such as upholstery stuffing and carpet padding, or resells the items in foreign markets. This results in a win-win situation for the environment and for The Salvation Army as these clothing items stay out of our landfills and generate funds to help our organization provide community programs and services such local food banks, shelters, daycare programs and children's camps. How do you help to divert waste from the landfill? The Salvation Army makes every effort to be as environmentally conscious as possible. The recycling of unsellable goods, or parts of goods like scrap metal stripped off an appliance, is a large part of our intake and review process for donations. Unsellable books and shoes are sold by the pound, corrugated cardboard is baled and sold reground and reused, and damaged clothing is baled and sold by the pound as textiles. We also sell plastic, metal and soft toys to recyclers. Salvation Army Thrift Stores also act as collection sites where consumers and businesses can drop off broken or unwanted electronics. We ensure that all of these unsellable items are recycled ethically and that none of them end up in our landfills. How do Thrift Stores determine the value or price of items? All Salvation Army Thrift Stores take the same factors into account when pricing items for sale. These include quality and condition, seasonality, style, brand name, uniqueness and rarity. Items that are in superior quality and condition will be priced at a higher price point than those that are in fair to good condition. The brand recognition or fashionable appeal of an item also helps us to determine the price point. Salvation Army Thrift Stores sell gently-used clothing and other household items donated by the public. However, Salvation Army Thrift Stores also receive donations of brand new product including clothing, toys, furniture and other items from businesses. In addition, we also offer a line of brand new affordable and high quality mattresses for sale. These mattresses are produced by a third-party manufacturer and sold at our Thrift Store.